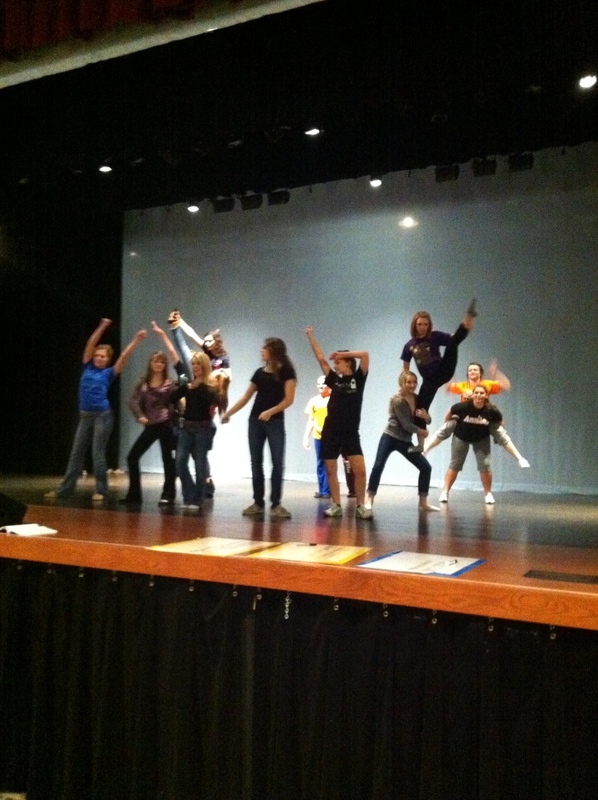 Now that the Young Playwrights Project is officially over, our focus is now solely on our Spring production: Legally Blonde. This week in particular, we focus on an important company number, “What You Want”. In this number, Elle Woods tries to convince a few important executives to admit her to the famous Harvard Law School. The song features many characters and thanks to our choreographer, Dani Shelton, has some amazing dancing and stunts performed by our cast. 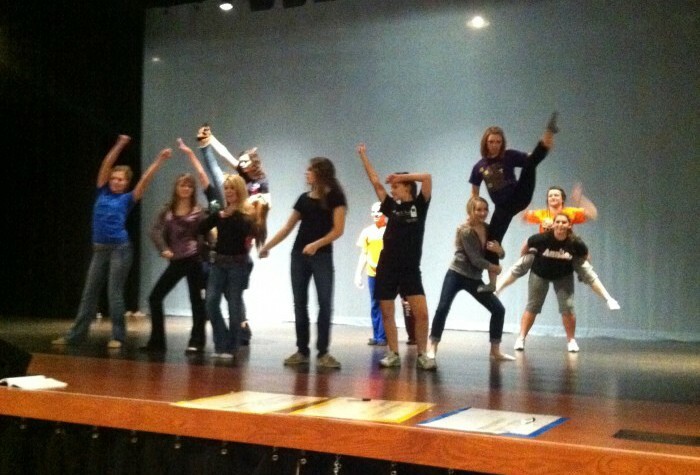 Below are a few pictures of the cast rehearsing “What You Want”.